Frightened Rabbit have announced their first live performance since the death of vocalist Scott Hutchison earlier this year. The Scottish outfit will perform at Glasgow's Kelvingrove Bandstand on December 9 as part of charitable event Sleep in the Park. The event — which also takes place in Aberdeen, Dundee and Edinburgh — aims to raise money to combat homelessness. 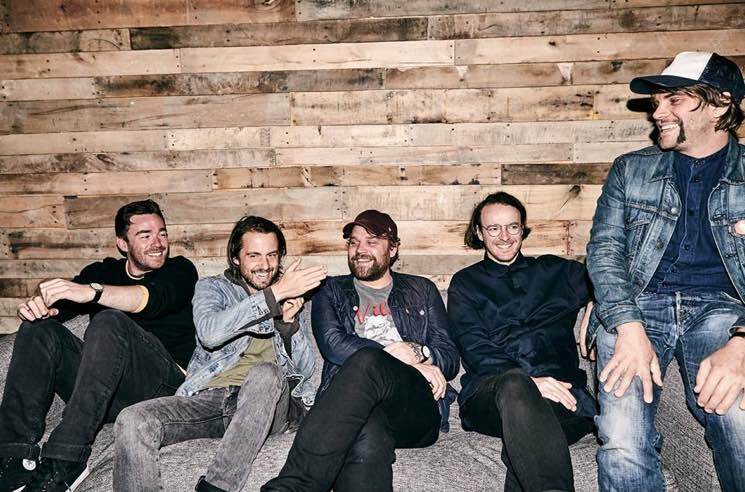 Frightened Rabbit have billed their appearance as "The Songs of Frightened Rabbit," and the performance will feature a number of special guest vocalists that have yet to be announced. NME notes that the guest list does include James Graham of the Twilight Sad, who have recently been covering Frightened Rabbit in their own live sets in memory of Hutchison. In a statement, the band's Grant Hutchison said, "We had agreed to play Sleep tn the Park before Scott passed and we felt that since it was something for such a great cause that we should stick to our decision and honour Scott in the best way we know — to play the songs he wrote and continue spreading his message of kindness whilst supporting Social Bite and the amazing work they do." Scott Hutchison was found dead in May, days after being reported missing in Edinburgh. He was 36.